The 2016 GP3 series race winner - who competed with Jota Sport in the WEC LMP2 class at Spa and Le Mans last year - is joining W Racing Team (WRT) to compete in the 2017 Blancpain GT Series. The 21 year-old will race one of the Belgian outfit's Audi R8 LMS Ultra GT3s in the Blancpain Endurance and Sprint Cups. 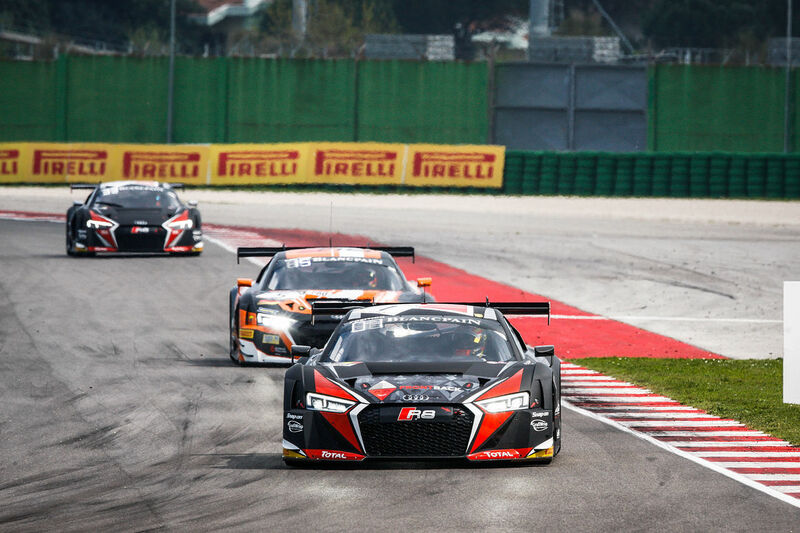 The 10-race programme agreed between the RSF and WRT gets underway with the first of the Sprint Cup rounds at Misano (01-02 April). Dennis - who has been managed and supported by the Foundation since 2007 - will partner experienced GT3 driver Stuart Leonard in the Endurance Cup races and long-time endurance and sportscar racer, plus 2016 Renault Sport Trophy Pro champion, Pieter Schothorst in the Sprint Cup. He will compete against fellow RSF-backed driver and new McLaren GT Driver Academy recruit Ben Barnicoat who will race with Strakka in the Blancpain GT Series - and RSF graduate and Ferrari works driver James Calado, who is to contest the Endurance Cup rounds only alongside his World Endurance Championship commitments. "Like many of my contemporaries, my aim is to forge a full time career for myself as a paid driver at some stage in the near future," said Dennis. "This opportunity with WRT, which the RSF has negotiated for me, is a big step in that direction, provided I turn in the on-track performances that are expected of me. "Clearly with such an experienced team as WRT behind me and with two such seasoned GT drivers to race alongside, I have a really good chance to do that." RSF founder Graham Sharp, who funded Dennis's debut in endurance racing with Jota Sport last year, said: "Jake acquitted himself extremely well at Spa and Le Mans last year. Now it's time for him to kick on and prove that he has what it takes to make a career for himself in endurance racing." Speaking on behalf of WRT, team principal Vincent Vosse said: "We were able to gauge Jake's potential as a GT driver when we he conducted a test with us for a vacant seat we had for the Endurance Cup race at Nurburgring race last year. "He did an amazing job and was on the pace really quickly. On the basis of what we saw at that test we had no hesitation in signing him up when the RSF approached us about the 2017 drive."